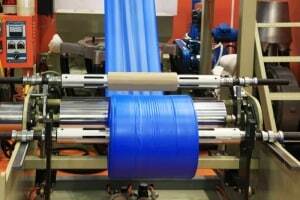 Single Wound Sheeting (SWS) – Sheeting wound continuously on a roll as a single layer. Sheeting has a specific width, the length is cut as needed. Flat sheeting is typically used as a cover, to wrap or separate product, or as a moisture barrier which is especially useful in construction while putting up insulation or under flooring. Availability: Average lead time is two weeks.